Random tests on 18 poultry farms raising about 50,000 birds each in Punjab found that two-thirds of fowl harbored bacteria that produce special enzymes, known as extended-spectrum beta-lactamase, or ESBL, that destroy most penicillin- and cephalosporin-based antibiotics. Indian poultry farms aren't just rearing chickens - they're also breeding germs capable of thwarting all but the most potent antibiotics, researchers found. Random tests on 18 poultry farms raising about 50,000 birds each in Punjab found that two-thirds of fowl harbored bacteria that produce special enzymes, known as extended-spectrum beta-lactamase, or ESBL, that destroy most penicillin- and cephalosporin-based antibiotics. Of tested birds destined for meat consumption, 87 percent had the super germs, a study published Thursday in the journal Environmental Health Perspectives showed. That compared with 42 percent of egg-laying hens. Farms supplying India's biggest poultry-meat companies routinely use medicines classified by the World Health Organization as "critically important" as a way of staving off disease, an investigation by Bloomberg News showed last year. The latest research, the largest of its kind in India to date, highlights the consequence of this for the nation's food supply. "This study has serious implications, not only for India but globally," said study author Ramanan Laxminarayan, director at the Center for Disease Dynamics, Economics & Policy in New Delhi, in a statement. "We must remove antibiotics from the human food chain, except to treat sick animals, or face the increasingly real prospect of a post-antibiotic world." Worldwide, animals receive about twice the volume of antibiotics that humans do. Much of it is administered in doses that speed growth in livestock, but aren't strong enough to kill all the bacteria, leaving mutant germs to not only survive, but thrive and potentially spread. That's alarming veterinary and medical experts, who say the practice is stoking infections that no medicine will cure. Drug-resistant diseases have the potential to cause a level of economic damage similar to - and probably worse than - that caused by the 2008 financial crisis, the World Bank said in September. It could add as much as $1 trillion a year to health-care costs by 2050 across the globe. Of the 16 farms in Punjab that answered questions on antibiotic use, all used the medicines to treat sick birds and to stave off disease, while two-thirds also used the drugs to spur chick growth. The researchers compared drug use with levels of resistance present in 1,556 E. coli specimens collected from more than 500 birds. "Our findings suggest that antimicrobial use for growth promotion promoted the development of reservoirs of highly resistant bacteria on the studied farms, with potentially serious implications for human health," Laxminarayan and colleagues wrote in the study. Farmhands who handle the birds often wear open-toe shoes, providing "a conduit of entry for resistant bacteria and resistance genes into the community and hospitals, where further person-to-person transmission is possible," they said. Antibiotic resistance is an "ecological problem that spans humans, food-animals and the environment," Laxminarayan said in an email. Genes that enable bacteria to evade anti-infective agents are widespread, and are frequently transferred between environments and microbial species in India, spurred by indiscriminate use of the medications in both human and veterinary medicine. "Easy access to high-end antibiotics, inappropriate prescription practices, and lack of awareness are major issues," he said. 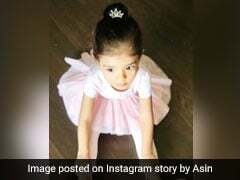 More than 56,000 newborns die annually in India because of bloodstream infections that aren't cured by first-line antibiotics, Laxminarayan estimated in a paper in the Lancet in October. "It is worrying that resistance-related infections and deaths in India are approaching epidemic proportions." he said. Agricultural systems in emerging economies such as China and India have increasingly turned to antibiotic-dependent intensive farming methods in order to meet the surging demand for protein as dietary habits change and incomes rise. Chicken is the most-consumed meat in India. It's cheaper than other meats and is subject to fewer religious prohibitions or cultural taboos. Consumption has increased more than 30 percent since 2013, out-pacing all major markets, according to U.S. Department of Agriculture data. A 2015 study predicted the use of antibiotics in livestock could more than quadruple by 2030 in some parts of India, primarily driven by "extreme" growth in chicken consumption. 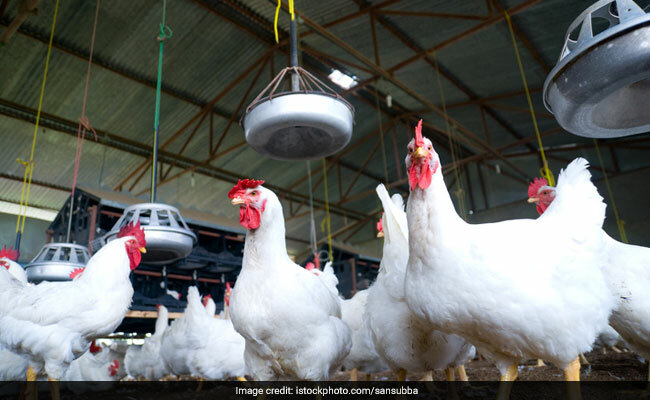 Broiler production is mainly concentrated in the states of Tamil Nadu, Andhra Pradesh, Maharashtra, Uttar Pradesh, and Telangana, the USDA said in a report in December. Love Eating Chicken and Eggs? But How Safe Are They Really?